These awesome SUVs remained concepts forever. But we will never forget them. Stuffing powerful engines under the hood of a vehicle designed specifically for off-roading isn’t a new phenomenon. Automakers have been doing this for years for one reason, and one reason only: it’s awesome. 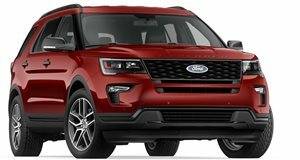 SUVs, specifically those with a body-on-frame chassis, are the go-anywhere, up-for-anything vehicle people want in their lives, but having more power is never a bad thing. High-performance SUVs are typically special editions, providing carmakers with some always needed street cred and a relatively easy way to make a few extra bucks. 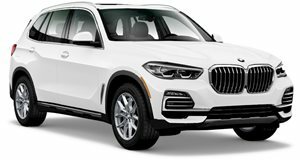 A regular SUV with an upgraded engine is a win-win for everybody – automakers, customers, and gas station owners. Sadly, some of the craziest, most powerful SUVs never made it to production, forever remaining concepts. Today, it’s not uncommon to see a performance vehicle from Volvo, including SUV crossovers. But back in 2005 it was almost unheard of. 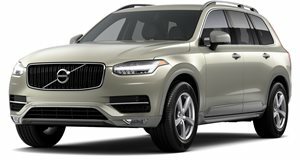 Meet the Volvo XC90 Supercharged. It’s yellow. Very yellow. It also has a Yamaha-developed V8 that, under normal circumstances, makes 311 hp and 325 lb-ft of torque. Volvo wanted more than normal, so added a massive supercharger that dialed up the output to an estimated 600 hp. Power was sent to all four wheels through a six-speed automatic gearbox. That system was also “pre-charged,” meaning power could be instantly routed to the wheel with the most traction. Compared to the production at the time, its Supercharged evil twin rode two inches lower to the ground and wore nine-inch wide ultra-high-performance alloy wheels wrapped in Pirelli P-Zero rubber. Volvo also made changes to the front fascia and added custom fabricated wheel arches. Quad exhaust pipes can be found at the rear. Although production never happened, the XC90 Supercharged was a demonstration of what Volvo could do and what it wanted to become. Back when gasoline was stupid cheap Chevrolet figured ‘Hey, why the hell not… let’s build a Tahoe SS for fun.’ And so it was. The ‘SS’ moniker, famous for its muscle car heydays of the 1960s and early 70s, was called upon once again. The , at the time in its second generation (at least with that nameplate), was given a few cosmetic changes from the standard version, such as a clean front grille and wide-mouth air intakes under each headlight. Its stance was also lowered by two inches up front and four at the rear. Under the hood was a 6.0-liter Vortec V8 with 345 hp. That power was directed to the rear wheels only. 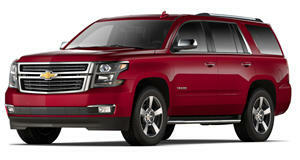 Chevrolet wanted to go with a stealthy look similar to the Tahoe cop SUV, and it managed to pull this off nicely. Unfortunately, despite being production ready, or close to it, Chevy opted not to build it in the end. Instead, it was merely a display of the brand’s performance capabilities. Bummer, because this could have been an instant classic. The was always a bit nuts. Big, bold and bling tastic, this luxury SUV never has and never will apologize for being what it is. 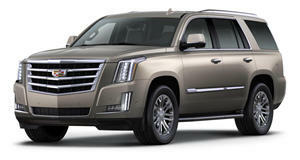 During the same time Chevrolet was toying with the idea of a Tahoe SS, Cadillac had a lunatic idea of its own: a twin-turbo Escalade. Under its hood is a 6.0-liter V8 that borrowed the cam from the C6 Corvette LS6 engine and ported aluminum Vortec heads. Cadillac even added a custom carbon fiber intake. A pair of Aerodyne turbochargers were then added. Combined output: 580 hp and 580 lb-ft of torque. Total weight came to around 5,700 pounds. Engineers also lowered the SUV’s ground clearance at the front and rear axles by 25 and 35 millimeters, respectively. The interior received an entertainment system consisting of a DVD player and voice control. The exterior featured silver metallic paint and chrome-plated 20-inch wheels. Production? You wish. So, why was the SVT Tremor particularly cool? Built together with Yamaha, under the hood was an all-aluminum 4.6-liter V8 with an estimated 380 hp and 340 lb-ft of torque. To compare, the 1998 Mustang Cobra had 305 hp. Top speed was said to be about 140 mph and a less than 7-second 0-60 mph was predicted. But once again, we never got the chance to see everything this performance SUV was capable of. When you have an engine as incredible as the supercharged 6.2-liter Hellcat V8, you might as well use it. 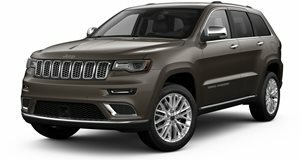 Not only is the Hellcat found in the Dodge Challenger, Charger, and Jeep Grand Cherokee, but also in a Wrangler. Yes, really. The was a concept first shown in 2016. 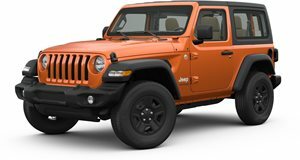 With a total of 707 hp, you’d think the engine could somehow rip the Wrangler in half but Jeep engineers made sure this wouldn’t happen. And yes, this concept was really put to the test when it made its debut appearance at Jeep’s 50th annual Easter Safari gathering in Moab, Utah. Along with a six-speed manual, the Trailcat received a set of massive tires, a big roll cage, and – this is where engineering is really needed – a 12-inch wheelbase extension in order for the engine to fit. Although the Trailcat never reached production, you could argue that it paved the way for the . This and no doubt it won't be the last. Why? Because back in 2000, BMW had the wonderfully nuts idea to stuff a V12 engine under the hood of a first-generation X5. Production was never intended, but a trip to the Nurburgring was. BMW managed to get this one-off X5 up to 192 mph at the Green Hell. Oh, and that 6.0-liter V12 came directly from the BMW V12 LMR Le Mans endurance racer. Total output: 700 hp and 520 lb-ft of torque. The race car had about 100 hp less. And just when you thought this couldn’t get any crazier, engineers opted for an M-division six-speed manual transmission. As for its Nurburgring aspirations? The X5 Le Mans managed a lap time of 7:50. To compare, the . Complete with random acts of small-blockery. Gone are the days of the ultimate driving machine. Welcome to the dawn of something much more advanced. After driving the car for the first time, here are our key takeaways.